SK Photos: Caribou, Newfoundland Memorial Park, Beaumont Hamel, Somme. Caribou, Newfoundland Memorial Park, Beaumont Hamel, Somme. The Beaumont-Hamel Newfoundland Memorial is a memorial site dedicated to the commemoration of the Dominion of Newfoundland forces members who were killed during World War I. The 74-acre preserved battlefield park encompasses the grounds over which the Newfoundland Regiment made their unsuccessful attack on 1 July 1916 during the first day of the Battle of the Somme. In 1921, Newfoundland purchased the ground over which the Newfoundland Regiment made its unsuccessful attack. 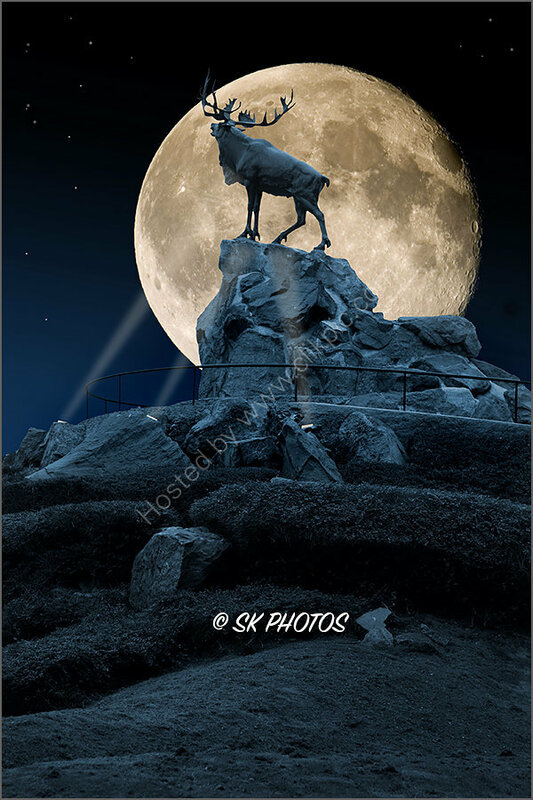 The memorial is a bronze caribou, the emblem of the Royal Newfoundland Regiment, standing atop a cairn of Newfoundland granite facing the former foe with head thrown high in defiance. At the base of the Memorial mound, three bronze tablets carry the names of 820 members of the Royal Newfoundland Regiment, the Newfoundland Royal Naval Reserve, and the Mercantile Marines who gave their lives in the First World War and have no known grave. 'Tread softly here! Go reverently and slow! Here made the sacrifice,—here gave their lives. The peace of Heaven and Immortality. All sees, all knows, all comprehends—save bounds. He has repaid their sacrifice:—and we—?